I wish I had known that I would succeed despite all obstacles, that nothing would stop me. It has been surprising to me as a female that opportunities have been hard to come by, yet I kept going. I didn’t know it would be so hard, and that I would be so resilient. Looking back, I’m quite surprised and proud that I did all of this. I would have been more relaxed if I had known I would survive it all and reach this point. I have seen so many people and companies come and go in this business, and I am still doing the work that I love, still deriving pleasure and satisfaction from telling stories. 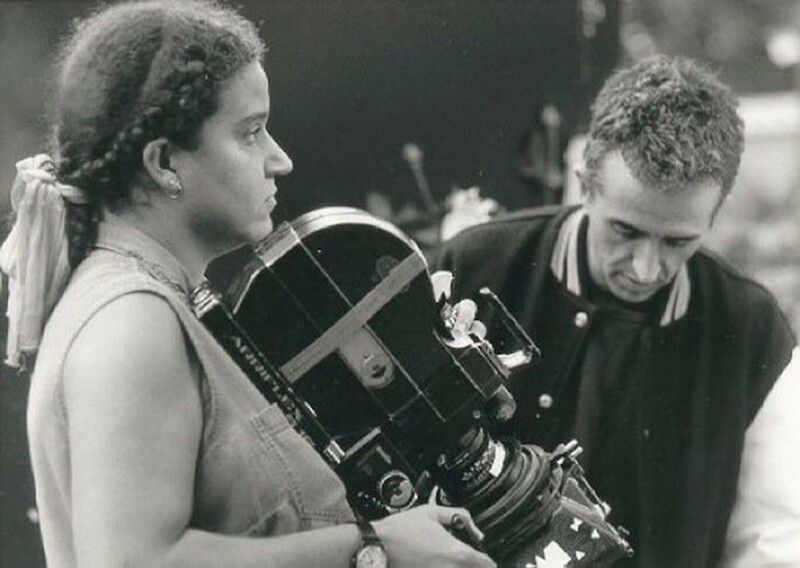 As a part of my series about leaders helping to make Film and TV more representative of the US population, I had the distinct pleasure of interviewing Frances-Anne Solomon. Solomon is a Toronto based award-winning writer, producer, director, curator and distributor in film, television and radio whose latest feature HERO began a World Tour on February 28th. She started her professional life at the BBC where she was a successful television drama producer and executive producer. 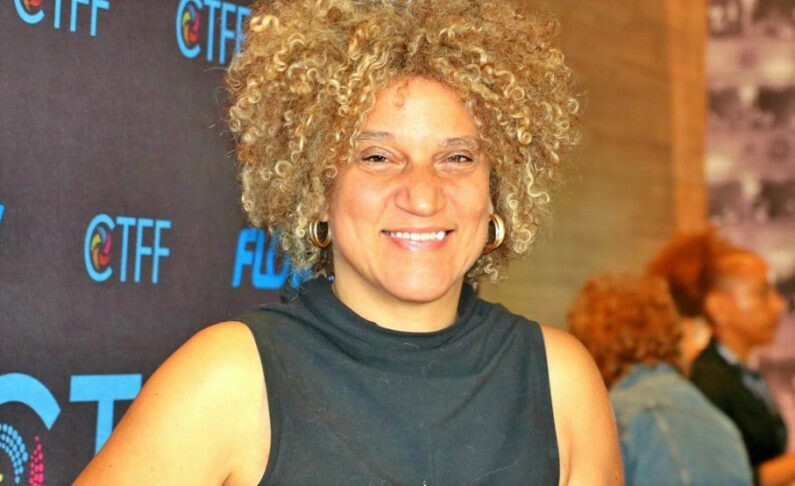 Frances-Anne then moved to Canada where she is the founder and CEO of the CaribbeanTales Media Group — that produces, exhibits and distributes Caribbean-themed content. 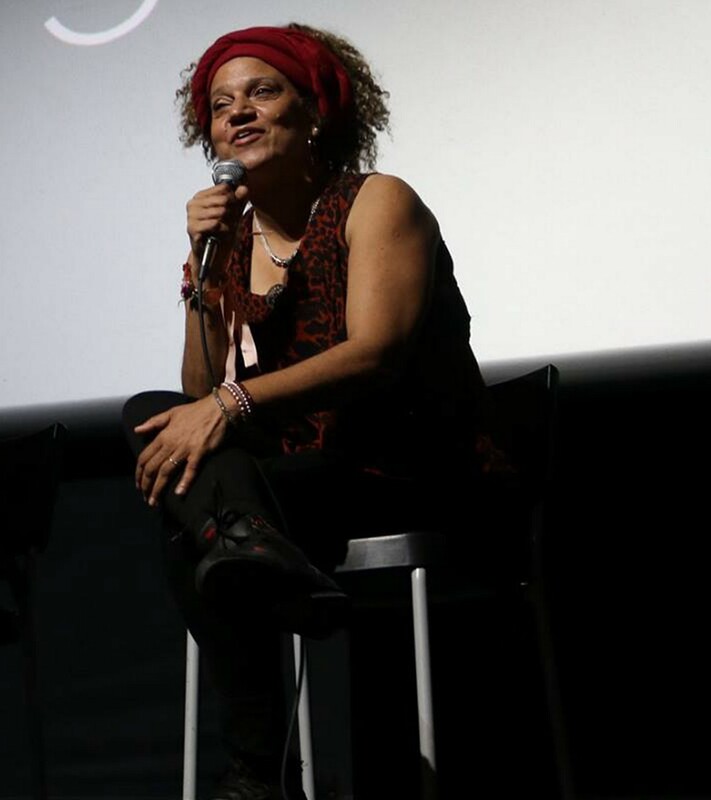 She is currently Artist-In-Residence at Ryerson University’s School of Image Arts, and recently founded CineFAM, that supports bold, original film stories by Women of Color creators worldwide. Growing up in Trinidad, in the Caribbean, becoming an artist was not an option, especially in my family. We were from the black and brown middle class. You were expected to pull yourself up, make money and be decent people. I was expected to become a teacher, a doctor or lawyer. I was artistic as a child and this was not encouraged. When I left Trinidad and came to Canada, I felt really lost. I had worked hard at high school, but now I didn’t want to do anything. I took a year off and then signed up at the University of Toronto. The “den mother” at UC College met with me and after listening to my story she said, “There is someone I think you should meet.” She directed me upstairs to an office, there sitting on the floor was this man with long hair and a headband, in a long blue robe dressed like a hippie. His name was Steven Martineau. He invited me to study with him. He taught drama, but from a wholistic perspective, using gestalt and drama therapy techniques. And that is where I found my place. The first time I walked into the theatre as a director, I knew that I was home. After university in Canada, I went to England and got a job at the BBC. This was during the mid-1980’s. It was a very political time. There were race riots across the country. London, Handsworth, Birmingham were burning. I was hired to work on one of the first Black TV magazine programs, Ebony. It was the first time I witnessed racial violence, and naked racism. I grew up in a country where everyone basically looked like me, our government was Black and had been so since the early 60’s. I was a child of independence. We had many problems, but that was not one. In England, race issues came to the surface in the 80’s. As soon as I joined the BBC, one of the first cases I had to cover was a policeman that was murdered on Broadwater Farm, decapitated during what was called the Black riots. Hundreds of Black youth were arrested and tried without evidence, deprived of their rights. The media talked about “Black Monkeys.” I covered those trials and the community response. The BBC censored our programs. They would not let us broadcast the people’s anger. It was an initiation by fire for me. When I was working at the BBC, I was at a party one day during the Toronto International Film Festival (TIFF). I saw Indian director Mira Nair, who I’m a huge fan of. I went up to her and another woman and gushed about how much I admired and respected her work. The woman turned to me and said, “I’m not Mira Nair, I’m Deepa Mehta.” Mira was actually standing right next to her. Both women looked at me with heavy disdain. There was also a group of white men around us, they all sort of guffawed. I was horrified. The head of the British Film Institute was there, and for the rest of the festival, he made a point of telling this story over and over — to my humiliation. That ruined any chance I had of building a relationship with either of those amazing women. It happened maybe 20 years ago. What did I learn? The truth is that I am not good at remembering names and people. I don’t stand on a lot of protocol and I am very informal as a person, that’s just who I am, I am led by instinct and by my heart. As I get older, I find it even harder to put names to faces. I don’t mean to be offensive. But now I never assume to know who someone is. I have learned to be much more careful in social situations. I give people back the same reception that I get from them. I’ve got that down to a fine art. I love telling stories — of who we are and where we come from. Each of us has a story to tell, many stories. Caribbean people came across from Africa, India, China, Europe — our ancestors crossed oceans, survived unbelievable obstacles, thrived. Then emigrated to all parts of the Globe. Huge populations live in the States, and here in Canada. Caribbean people live everywhere. There is a sense of travel and adventure. We have a real hunger to see ourselves and learn about who we are, where we came from. But in school we learned about the kings and queens of England — but not about ourselves. My new film Hero tells the story of one man, Ulric Cross, whose life spanned continents and intersected with key moments in history; he grew up in the confines of colonial Trinidad. He escaped these limitations to join the war (WW2) where he became the most decorated West Indian. Then his life took another turn when he was recruited to join the Pan African movement that was bubbling in England, and travelled as a lawyer to Ghana, Cameroon and Tanzania becoming part of the movement of history — the Black Power and independence movements that were sweeping the world. It’s the story of the contributions Caribbean people made to Africa and on the world stage. This is a story not a lot of people know. Through my annual CaribbeanTales film festival, contemporary Caribbean people get to see themselves on screen. My company CaribbeanTales gives voice to the diverse stories of the Caribbean and its diaspora. Our production arm facilitates the creation of new film content. Our incubator training programs are a pipeline of original diverse content — that creates, produces, markets and sells diverse content for a global market. Our distribution arm CaribbeanTales Worldwide Distribution, and CaribbeanTales TV, represents the largest repository of Caribbean and Diaspora themed films. Most recently I founded CineFam, a new not-for-profit company that shines a light on women of color around the globe. All of these divisions have programs in Canada, the Caribbean, South Africa, Cuba and Belize. It’s hard to name just one individual because I work on so many fronts — through the festival, training and distribution activities, and in production. But I will speak to the impact of my work as a director. My last feature film A Winter Tale involved a two-year long workshop process — from script to theatre play and then film, with actors Michael Miller, Peter Williams, P. Barrington Lucky Ejim, and the rest of the amazing cast. It was a very intense and immersive process. It becomes a life journey that changes you. It was the same on Hero. 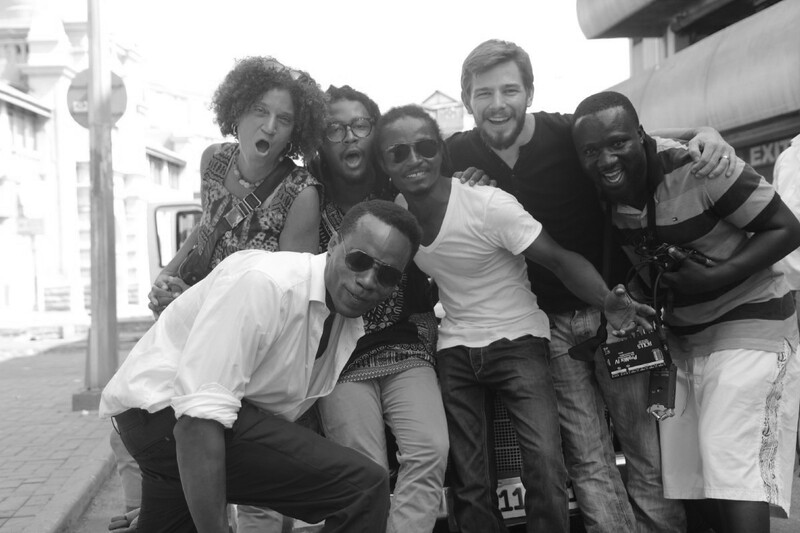 The journey of the film followed Ulric Cross’ footsteps from Trinidad, where he grew up, to England, where he lived for many years, to Ghana which is where he began his Africa years. Finally, we completed post production here in Canada. The cast was international and includes world class stars — like Joseph Marcell in England, Peter Williams in Canada, and John Dumelo in Ghana, who joined our team at each step of the journey. For the central character Nickolai Salcedo, who played Ulric, along with me, who went to all these places, it was a transformative experience. Nickolai best described it when he said in an interview that before the film, he had never really left Trinidad. Over a period of four years, as we travelled from country to country, building the story, he experienced life on different continents and met people, artists and crew from different backgrounds and cultures. He got to grow and stretch as an artist and person. I make films because there is something that I need to mine and discover for myself, and therefore you go deep with it and travel to wherever the story will take you — physically, spiritually, emotionally. It changes you and the people that go on that journey with you, and you also become connected to each other in a deep and permanent way. Can you share three reasons with our readers about why it’s really important to have diversity represented in film and television and its potential effects on our culture? Well, first of all, the world, the planet is diverse. We are not living under apartheid or in the Jim Crow era, so it does not make sense for one race to own and control everything, for one perspective to dominate. Representation matters. Secondly, it’s humanizing and expands the mind to hear stories of people who come from places other than your own. It builds empathy, and it builds community in multi-cultural spaces. When you understand someone else’s story, it has the ability to take you to another world. Storytelling takes you on a journey and has an educational component in it that builds tolerance and understanding. Sharing stories is the way we grow as people, it’s part of our evolution as a species. Can you recommend three things the community/society/the industry can do to help address the root of the diversity issues in the entertainment business? Hire people of color in leadership positions period! It’s important to understand the systemic way our society was constructed in the first place. It was set up to serve the interests of one race. That is what colonialism was. It’s necessary to restructure our institutions to be inclusive from the top. Leadership starts with vision. Alice Walker describes a Womanist (a black feminist or feminist of color) as someone who says: “Mama, I’m walking to Canada and I’m taking you and a bunch of other slaves with me” and her mother replies “It wouldn’t be the first time.” You have to have the ability to connect with people and take them with you on the journey, that requires a combination of skills — strategic, logistic, and organizational. You have to be brave and be prepared to do things against the grain — and to follow your ideals. It’s a tall order. Most people choose a safer path. That I would meet resistance at every turn. For example, in an early job interview, the interviewer asked me what I wanted to become. I told him that I wanted to be a film director. He was drinking coffee and literally choked, nearly fell off his chair, killing himself laughing. He said, “I guess everybody can dream.” I have faced that attitude every step of the way. That hard work does not pay. My high school motto was: “not without the dust the palm,” meaning “work hard and you will be rewarded.” When I got into the workforce, I realized that this was false. This philosophy doesn’t take into account real life obstacles. I worked incredibly hard, but I saw my white colleagues getting promotions and recognition and I did not. I was seen as an outsider, a visitor, dispensable. This is why I became an entrepreneur and started my own business. That integrity does not pay off. I always wanted to “do the right thing,” but the entertainment industry is driven by sexism, racism, and violence — lowest common denominator commercial values to drive sales — but I’ve never stopped operating from a place of integrity. I am still surprised at how little value that has in the real world. I wish I had understood that I’m an introvert: I didn’t understand growing up that I preferred being on my own, rather than in a room full of people. I have stopped putting that pressure on myself, stopped comparing myself to other people who network and socialize to “get ahead.” It does interfere with your social mobility, but I would rather be true to myself, and often that means staying home. My movement would be to get people to listen to each other’s stories. Listen and share. Make it part of the school curriculum; a certain amount of time a day just to be still, open your mind, and listen to someone else’s experience. It would revolutionize the world. Be who you are meant to be and you will set the world on fire! This quote is attributed to St. Catherine of Sienna, and resonates with me because it speaks of the power of being grounded in your authentic self. There are three people I would love to have a private breakfast/lunch with: Barbados Prime Minister Mia Mottley, singer Rihanna and Indian writer and ecofeminist Vandana Shiva. Prime Minister Mottley has brought a new style of leadership to the Caribbean. She is the island’s first female prime minister and is down to earth authentic and connected to the people. She has been in politics for the last 30 years and has survived with all that comes with being a woman of color, a black woman in political life. She won by a landslide last year. The people love her. As for Rihanna, she was born humble in Barbados, was picked up by the commercial music industry, which could have destroyed her, but she has found a way of using that as a vehicle for her own authentic voice. At first, others wrote her songs, and then she took the reins of her career and business. 30 years old! People don’t give her credit for the savvy, successful business woman that she is. I like her style and that she uses modern tools like Instagram to connect to people. I have huge respect for Vandana Shiva — physicist, eco-feminist, economist. She was one of the first Indian women to study physics at university. She campaigns for working people and poor women. She has a fundamental world view that is based on science, economics, and humanitarian values aimed at making the world and planet a better place for us all. She is a grassroots activist with a practical wholistic perspective and practice. I like people who see themselves as a whole force, not just with a single focus.